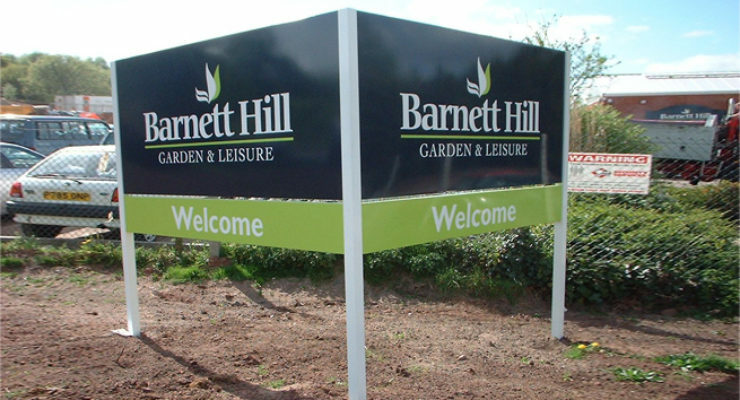 Post mounted signs are “planted” in hard or soft ground by digging an appropriately depthed hole, positioning the sign, applying concrete and then if necessary “repairing” the turf or another surface. 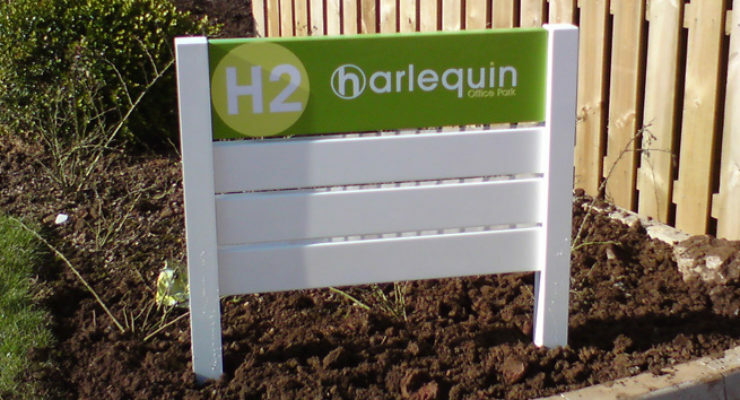 Depending on the size of the sign and the environment, the holes are dug to varying depths (of course carefully and observing locations of water, electric and gas mains). 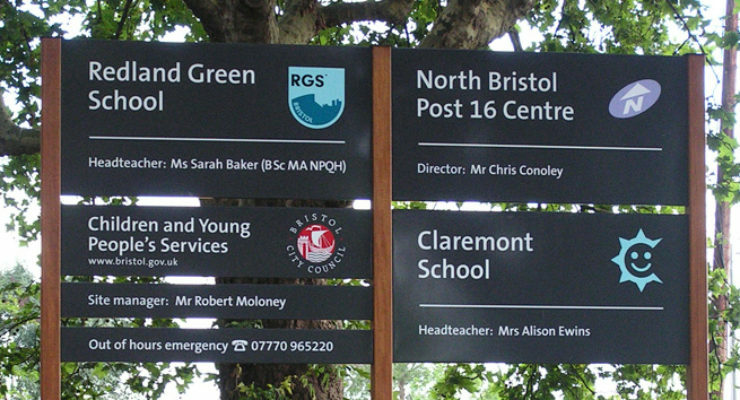 The photos above of Jobs we have done include post mounted signs from 1 foot to 20 feet, and signage that requires 1, 2 and sometimes 4 posts. 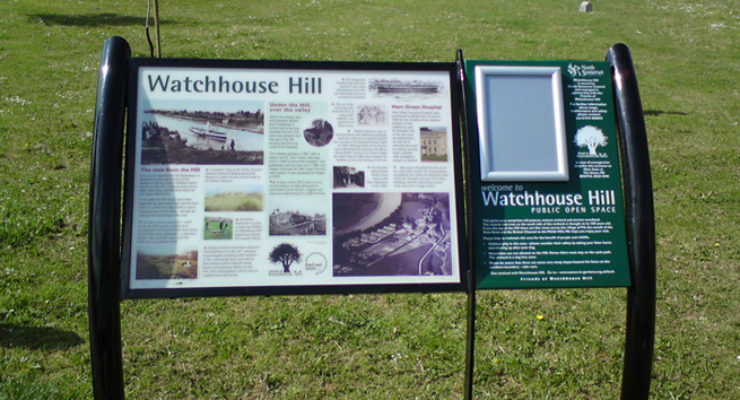 Post mounted signage may be needed because there is nothing else to fix the sign to, but is also often used to display signs up high ABOVE potential obstructions to the field of view, such as walls and foliage. 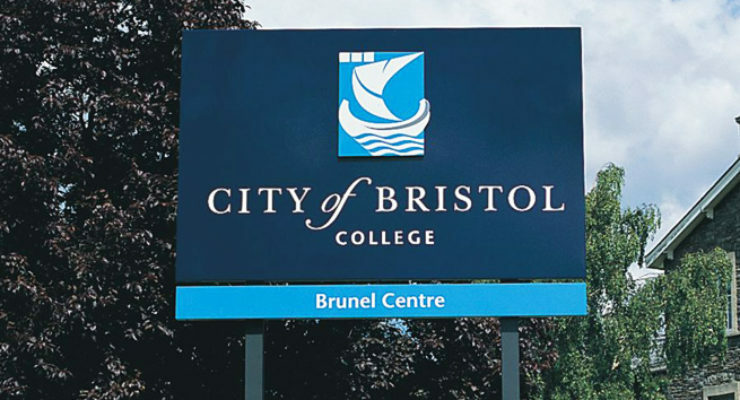 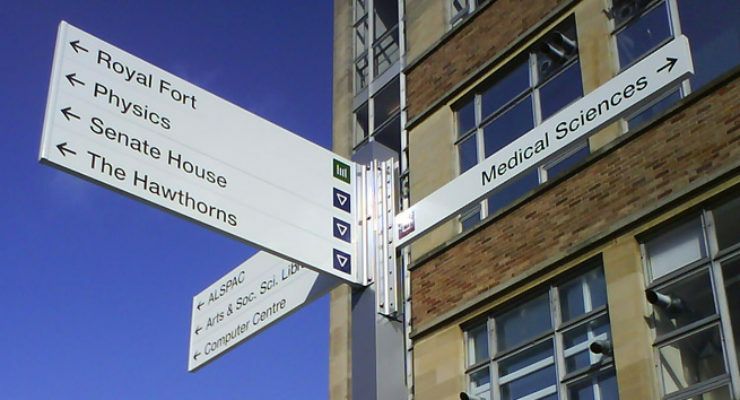 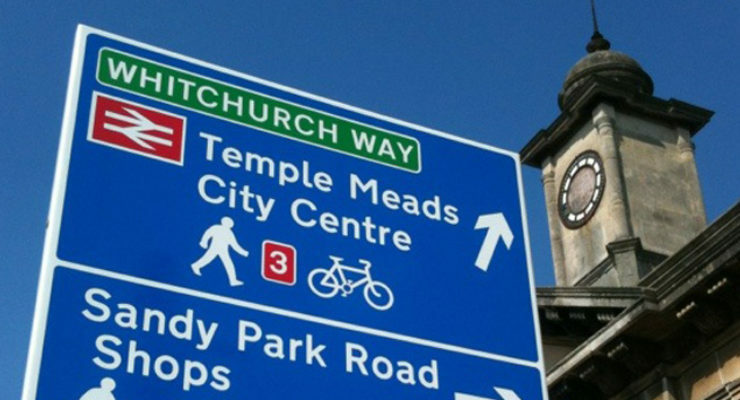 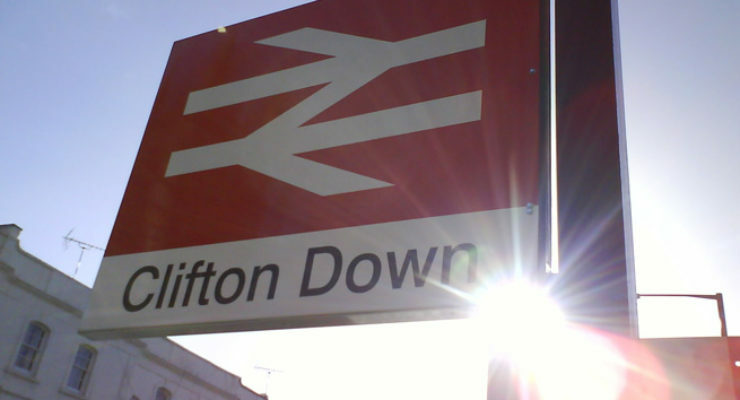 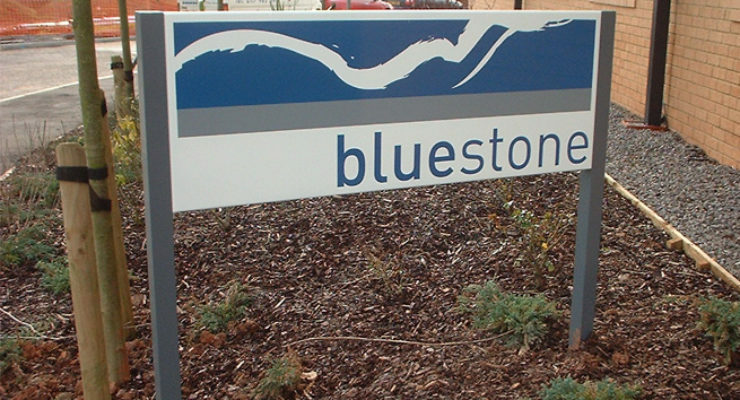 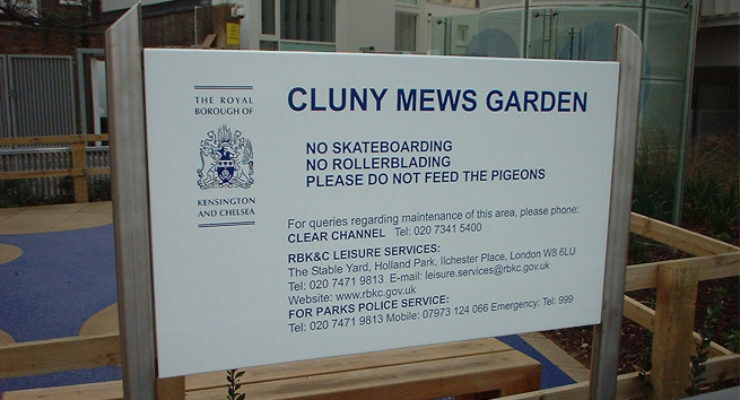 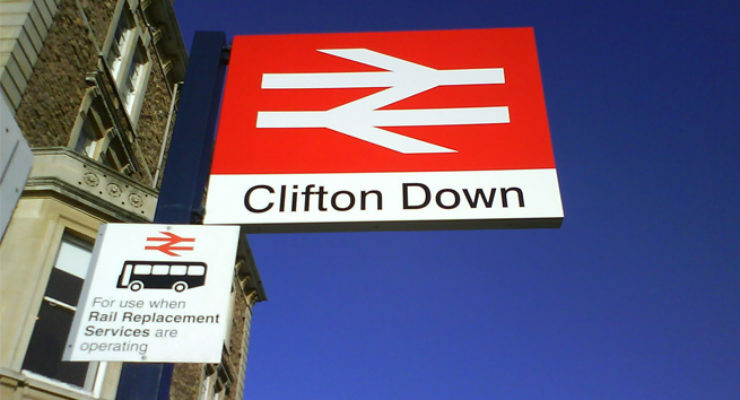 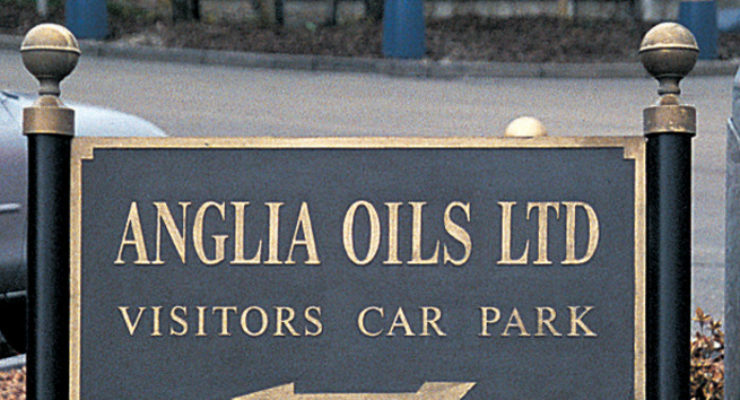 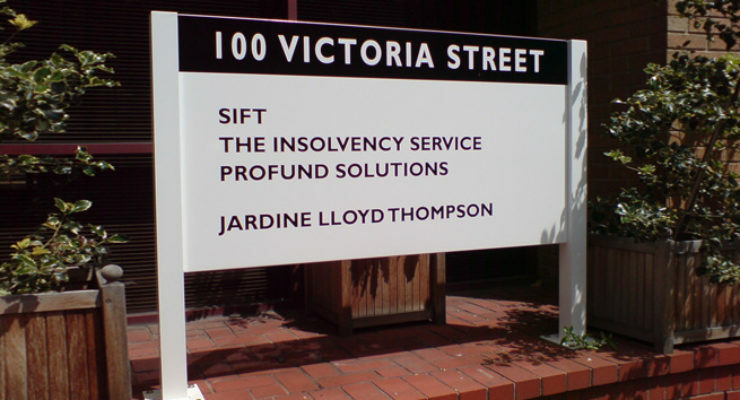 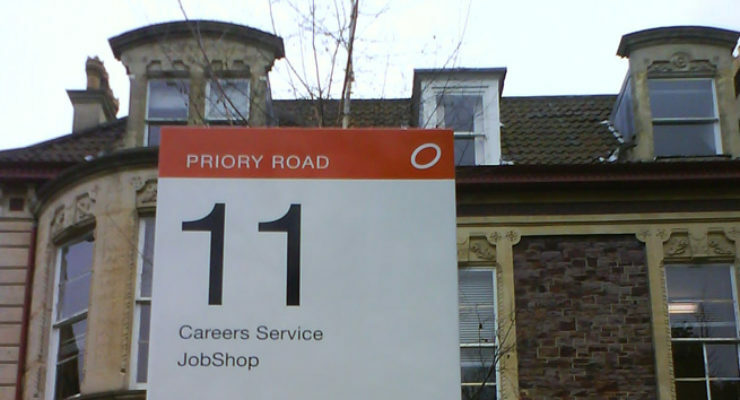 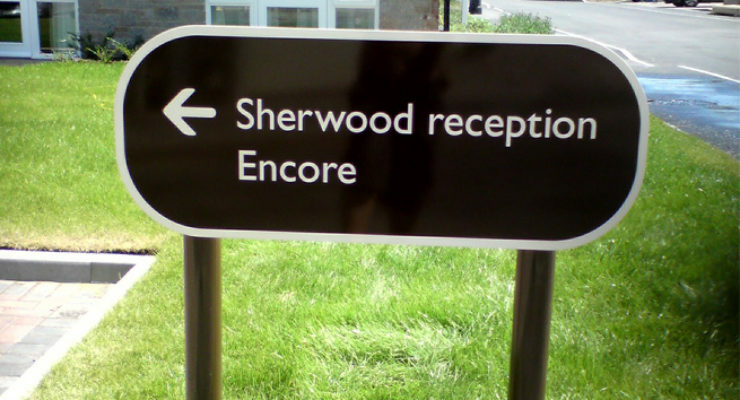 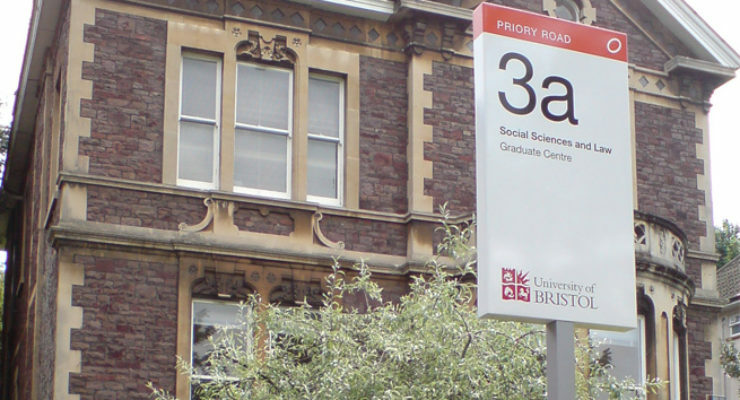 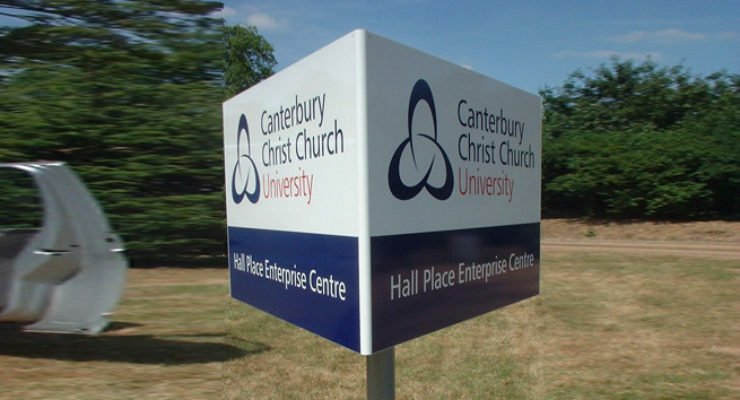 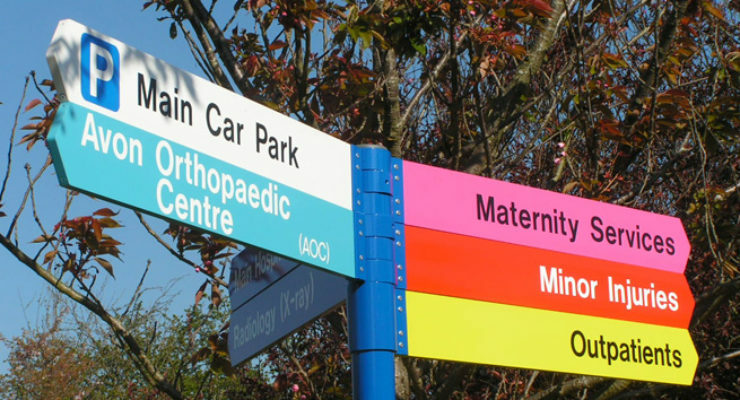 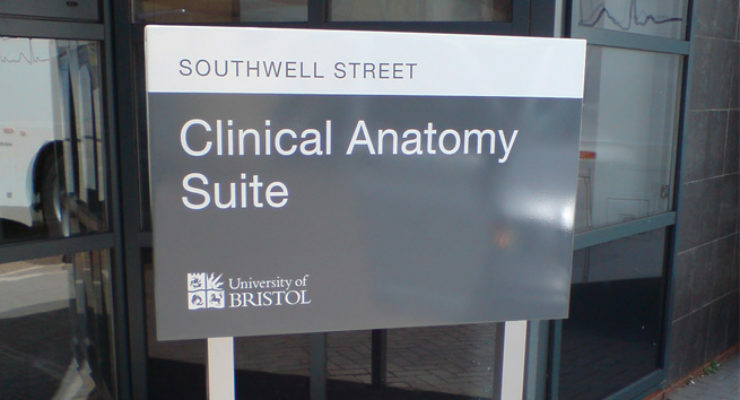 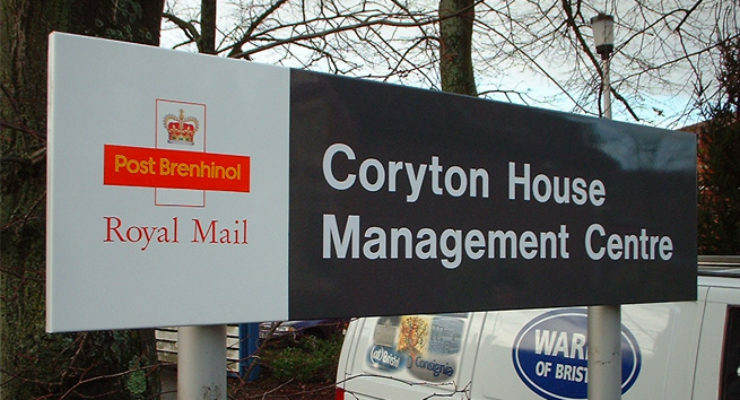 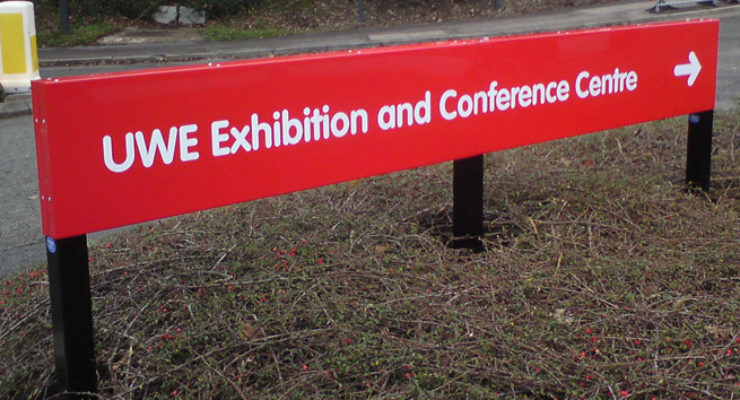 The face on post mounted signs may be a “flat panel”, a “folded tray” or have a “curved face”, typically post mounted signs are fabricated from sheet aluminium in our metal shop. 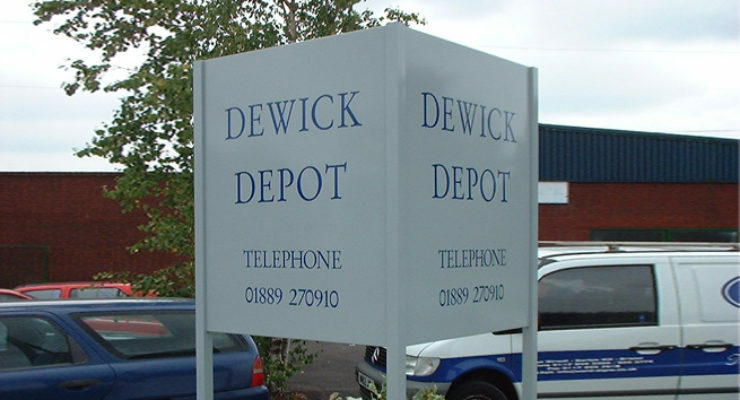 The posts are usually either box section (square) or diameter (round) extruded steel or aluminium. 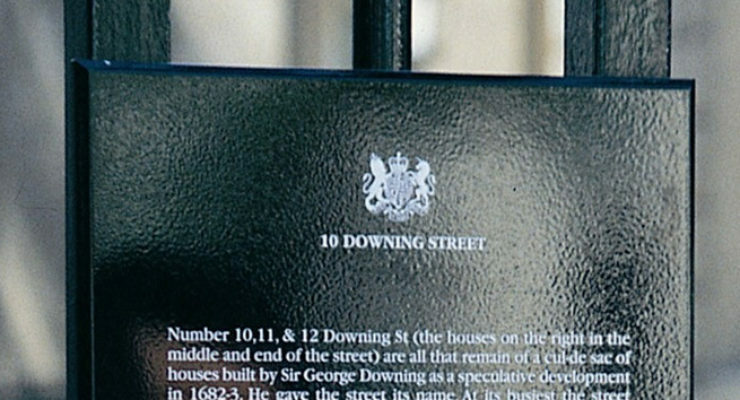 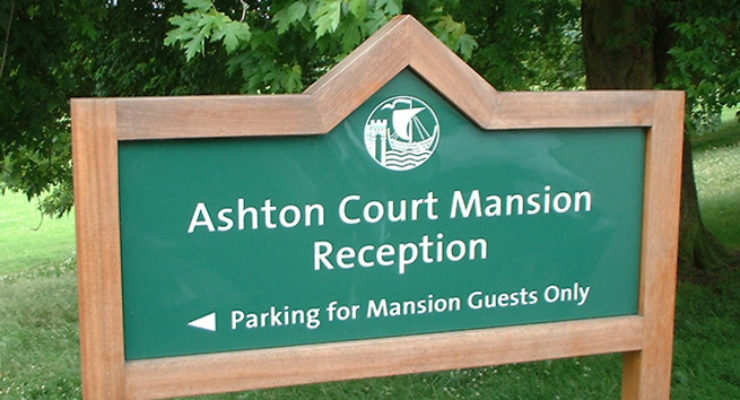 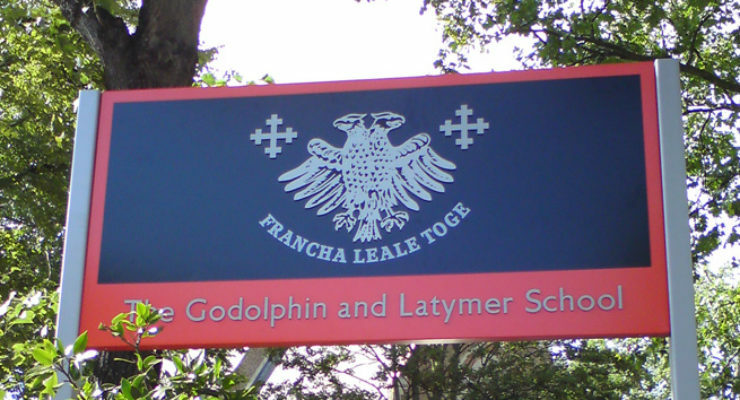 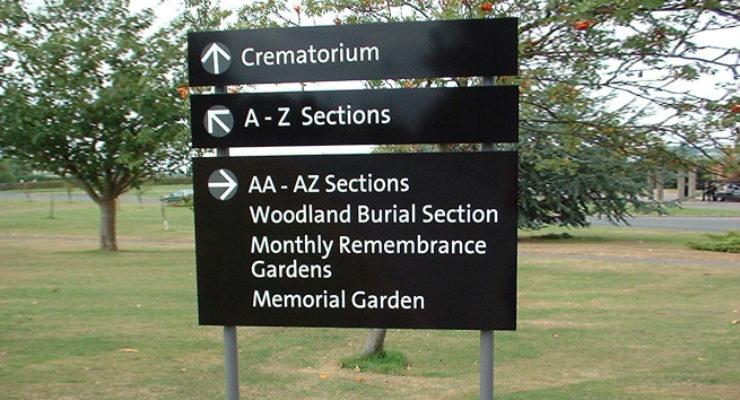 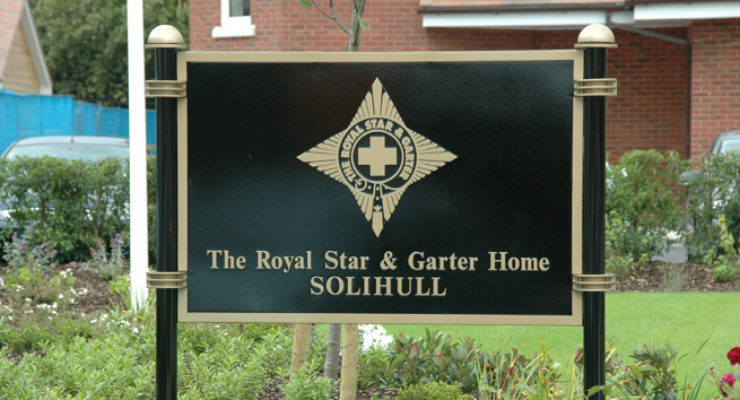 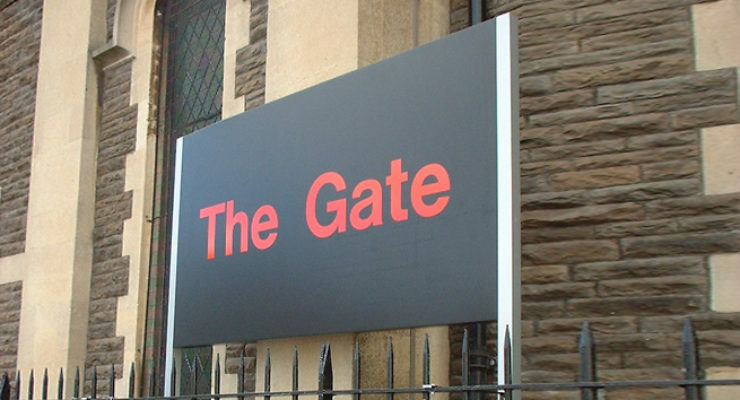 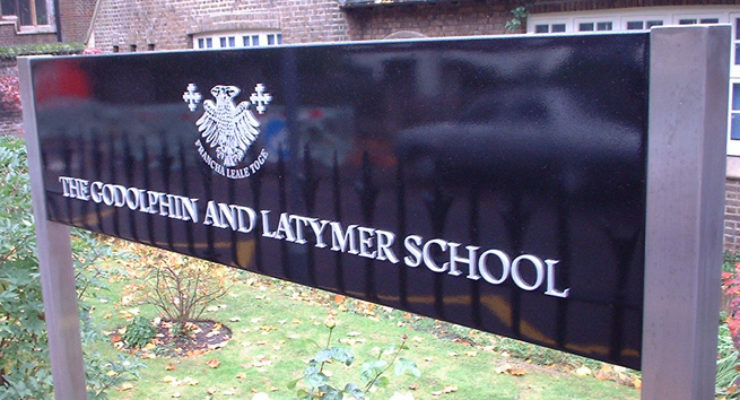 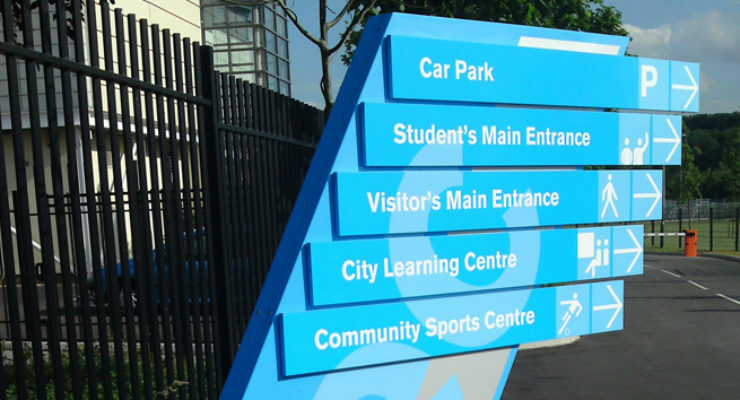 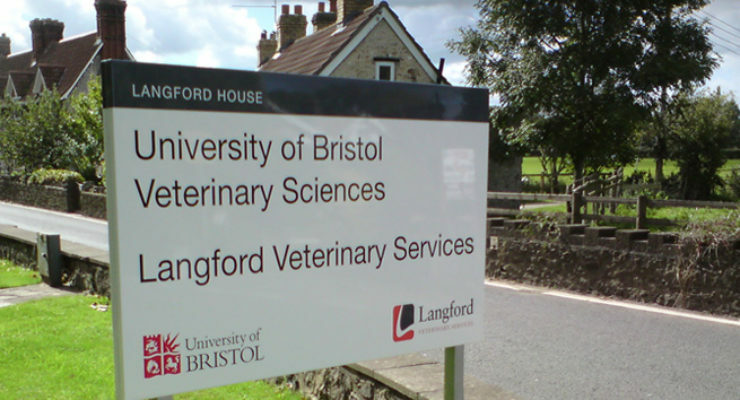 Main Entrance Signs mounted on tall posts to allow visibility over walls, fences and hedges.